Title Insurance: What Is Title Insurance & How Much Does It Cost? Title Insurance is a cost-effective protection that shields homebuyers from many of the major risks that can affect the ownership and/or future marketability of title to a property. A title insurance policy protects Canadian residential or commercial property owners and their lenders against losses related to the property's title or ownership: it protects against title defects or unknown claims on the property that can affect ownership rights. Title insurance moves the risk associated with title from the buyer, homeowner or lender, to the title insurer. 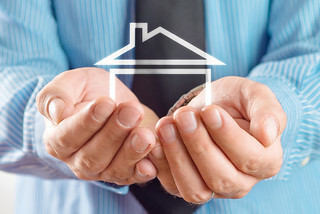 Title insurance in Canada is typically purchased by homebuyers for a one-time fee at the time of closing; however it can also be purchased by existing homeowners (existing homeowner policies differ from those obtained at closing). Residential title insurance coverage usually lasts as long as the insured owns the property and coverage often extends to heirs, spouses (in the case of divorce), or to children (when property is transferred at a nominal cost). We recommend that you discuss tile insurnance with your lawyer on or before closing. Title Insurance costs vary depending on the location, type, and vlue of the real estate transaction. In Canada, title insurance generally costs only a couple of hundred dollars, but could increase depending a number of diferent factors. Overall, this is a small price to pay for the peace-of-mine that no one will challenge your ownership of your home. Title insurance companies can provide you with an accurate quote. For example, First Canadian Title actaully provides an online title insurance calculator that can help estimate the costs for you. Whether you are a first-time homebuyer or not, we know that you probably have many questions and concerns. The Hamre Real Estate is here to help answer any of those concerns. We know the home buying from start to finish, so we can help you to understand process. So if you're ready to buy a home in the Ottawa real estate market, contact us today.